Looking for a unique idea for a baby or children's quilt? Look no more. 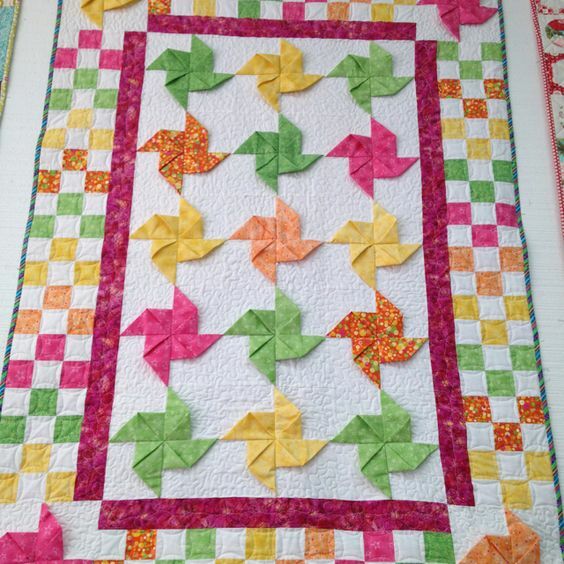 The Pinwheel block is a novel way to make a quilt with "movement" and will be treasured by any child. Here is a one way you can lay out your blocks for a quilt. So cute!